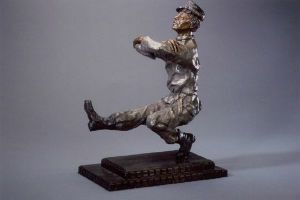 Kaufman was chosen to be the artist to do a commissioned sculpture of a retired former catcher for the Chicago Cubs and this was presented to him at Wrigley Field. 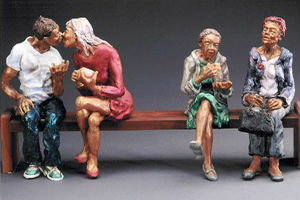 She has done commissioned work in sculpture, oil painting and mural painting. 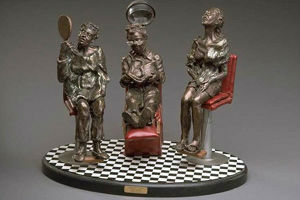 Kaufman has been in national publications and her work is represented in galleries and collections nationwide. 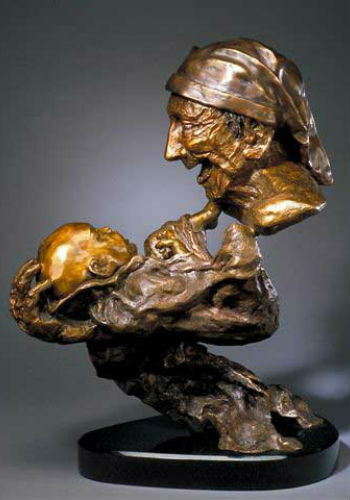 She is an award-winning artist with numerous first place and judges awards in county and national competitions. "I love your work!! The 'common people' with heart and soul, plenty of it, bit of Europe, Kosher Canyon (Fairfax Blvd., L.A.), bit of Fiddler on the Roof, a lot of sensuality. You are a medium, as you completely animate material with heart and soul. I am very taken by your work." "As for our recipient's reaction, he absolutely loved it!! I've known this man for years and he was almost moved to tears by not just the gesture but the statue itself. 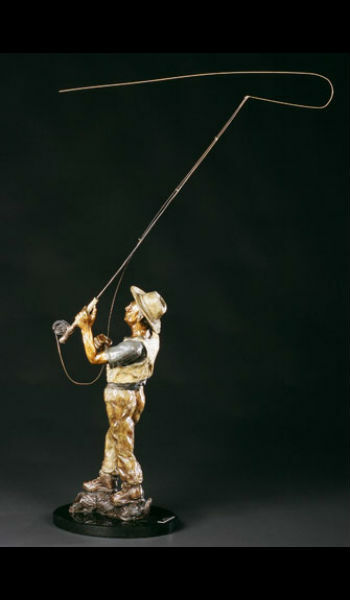 He is an avid fly fisherman who is retiring to Montana to continue his passion. So needless to say, the meaning of the "Bliss" statue was more than perfect." 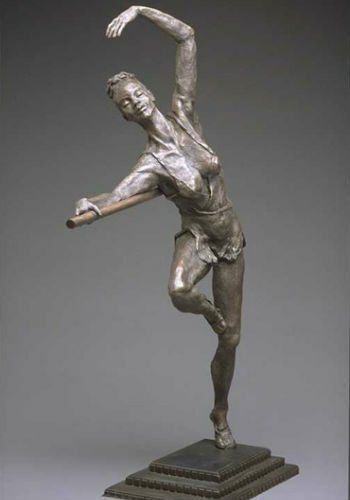 Bronzes are Copyrighted and come in Limited Editions of 9 and 20. Original one of a kind pieces are also available. All Rights Reserved. No image or text may be used without written consent from the artist. Photographs of the artwork by Schaf Photo and by the artist. Others by Candace Biggerstaff & Barbara Pickles.